Last week marked the end of this year’s summer internship program. Our interns were spread across the company, filling various roles in our Estimating, Building, Civil, and PPG divisions. 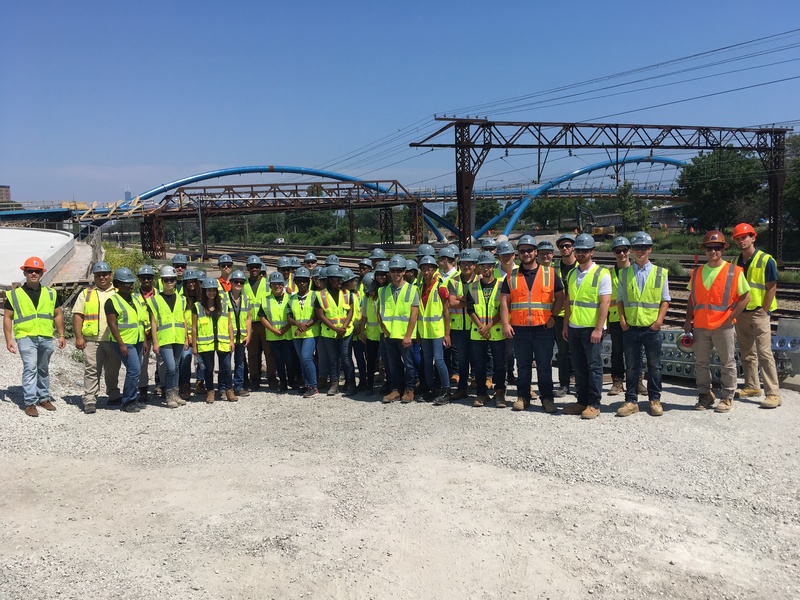 Many of our interns had the opportunity to work on active job sites including 41st Street Pedestrian Bridge, 95th Street Terminal Improvement Project, O’Hare Runway 9C-27C Bid Package #1, American Airlines GEM Facility, and many more. Last Friday, our interns gave their final presentations on their summer internship experience. Interns from our offices in Atlanta, GA and Washington, D.C. were flown in to create a collaborative presentation experience in which our interns spoke directly to our executives. As a part of their final presentation, the interns nominated an employee for a ‘More Paschen’ award. The employees weren’t limited to a specific title, but were individuals who went out of their way to make an impact on our intern’s summer and made a lasting impression on their experience. We received incredible feedback from our interns! Our industry’s future is bright with talented and innovative minds – we were truly fortunate to have such an excellent group of individuals. We are wishing our interns a successful school year! Our interns come from all over the nation, studying at schools including Villanova University, Purdue University, Illinois State University, Howard University, Miami University (Ohio), Michigan State University, Iowa State University, University of Illinois at Urbana Champaign, Milwaukee School of Engineering, Eastern Illinois University, Illinois Institute of Technology, Valparaiso University, University of Alabama, George Mason University, California College of the Arts, and Notre Dame University.